A strengthening economy, changing labor market, and shifting demographics all impact how, what, when, and where consumers eat. The webinar presented by CokeSolutions and The NPD Group, “Eating Patterns in America 2016,” revealed interesting shifts in consumer behavior when it comes to dining out. Economics and food inflation play a key role in the consumer’s decision to eat at home or dine out. Grocery prices today are approximately .05% lower than they were a year ago, while restaurant meal prices have increased by 2.7%.4 Consumers spend almost as much on foodservice (50.1%) as they do to eat at home (49.9%).5 Lunch, which has long been a dining out occasion for professionals, is now an at-home occasion 51% of the time.³ The main driver of this change is the reality that many professionals work remotely on either a full- or part-time basis. As economic fundamentals progress and new technology trends gain popularity, eating patterns will continue to evolve. Understanding the drivers for consumer behaviors can help foodservice operators meet new dining demands and expectations. 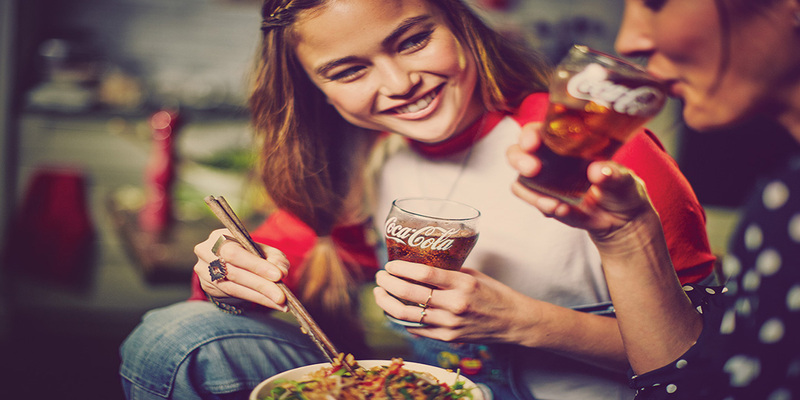 For more information on consumer sentiment and other topics, sign up for our Refreshing Insights by Coca-Cola. ³ The NPD Group, Inc.